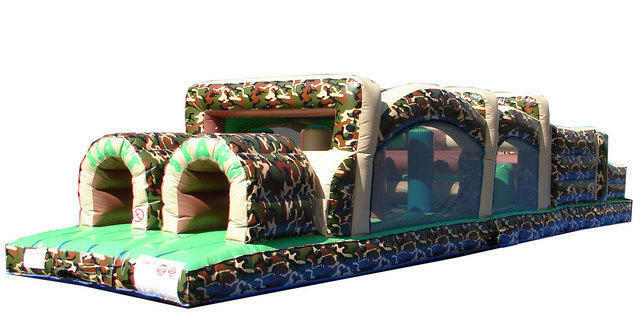 Run this awsome army camo obstacle course! This unit has two lanes, allowing two people to compete against each other! Push through walls, duck under, hop through hoops, and more!